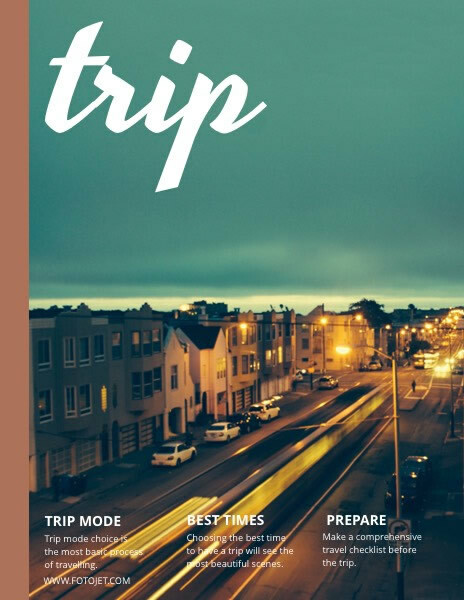 If you are editing a travel magazine that focuses on providing helpful trip tips for travelers, this magazine cover template is the best bet for you. This design features an eye-catching night scene as a background and lists some key points of the content neatly. What can make you excited is that the template is fully customizable, so you can make some adjustments to meet personal needs. Stylish text fonts, beautiful online and pre-set clipart images, and powerful editing tools will help you turn creative ideas into a stunning result.